The aftermath of recent tragic events in Paris, Colorado Springs, and San Bernardino have solicited the thoughts and prayers of millions of people around the world. When such needless events happen, human reasoning and explanations fall flat in the face of grief and indescribable pain. Thoughts and prayers seem to be the immediate response to senseless tragedy as families heal and communities rebuild. After hearing the breaking news, I’ve offered my thoughts and prayers, taking to social media to join my heart with others that I may never meet but are connected to around a common cause. But, the thoughts and prayers offered have caused media outlets such as the NY Daily Post to make a declarative statement on their front page: “GOD’S NOT FIXING THIS”. I read the responses of Christians as they railed against the media and how dare they make such a statement. The “godless” media strikes again. However, I read the title quite differently. 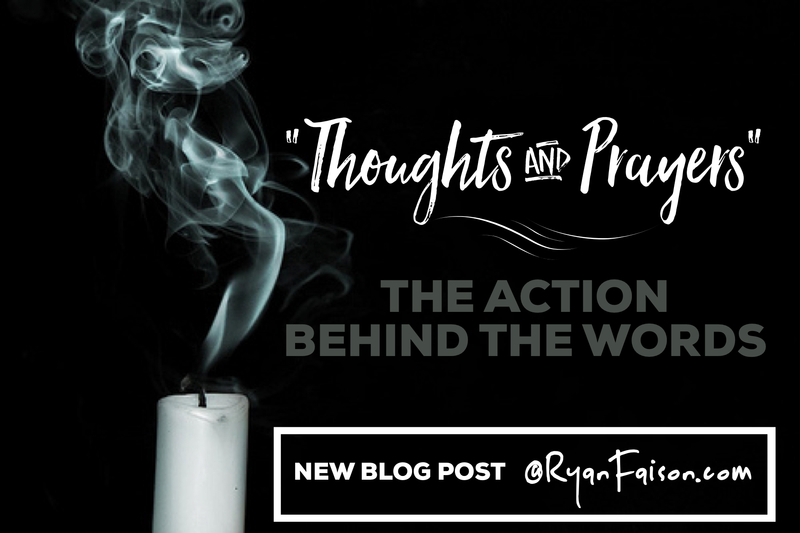 Rather than an indictment on faith, I found it to be an invitation of faith to rise up — with the ones offering thoughts and prayers. 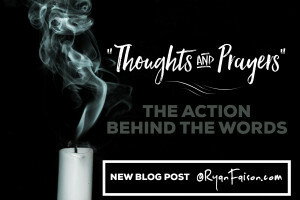 For those offering thoughts and prayers, have they received answers from God to the problems we face? If they have, why has there been too many silenced after the “smoke” settles? Where are the solutions beyond political posturing? Why are people of faith offended when this should be opportunity to share the joy of being in relationship with God? It’s during times of pain and confusion that many are asking questions about faith, prayer and God’s involvement. The immediate disdain for opposing views and even demonizing others for their position has prevented meaningful conversation and dialogue. I believe God is fixing matters – if only we would not only be hearers of the Word but doers of the Word. The Book of James tells us in the same passage to be quick to hear, slow to speak, and slow to anger. If an opposing view or a challenge to your faith causes you to be incensed, the question is — why so angry? What is causing that response? I believe the world is calling out those who offer thoughts and prayers. And rightfully so. We are living in a time when cliches and quick memes won’t do. Irregardless of your position on the use of guns in this country (USA), we should be open to having a conversation of how we can prevent guns in the wrong hands. We are all interested in the safety and security of our communities. Before vilifying another person for their views, we could offer an opportunity to discover why they have that opinion. They could possibly be persuaded to see another viewpoint if the atmosphere was not so toxic. We’re choking as a country because the air is poisoned with division. As a result, the voices with vision are being silenced or talked over. This has to change for the sake of this generation and future generations.